Bay View Resort was developed around 2005 and was one of the last resorts completed at the end of the condo boom. 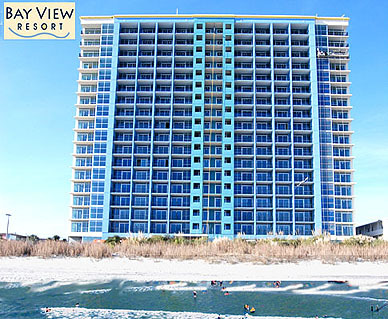 Its prime location near the old Pavilion area, a few blocks from 2nd Avenue Pier, and right on the new Myrtle Beach Boardwalk makes this oceanfront high-rise a big favorite for vacationers. 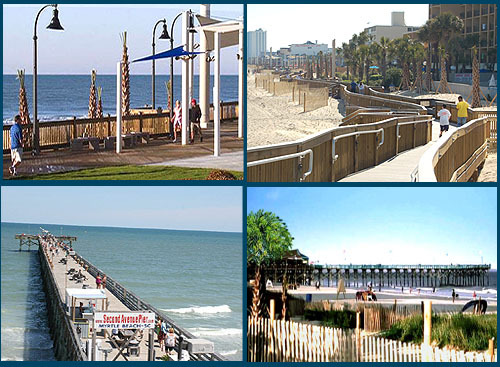 The south side of Myrtle Beach is going through a renovation right now and will see a total change over the next years, as many run-down beach houses are purchased and replaced with bright new housing and condominiums. Being located on the oceanfront in the midst of this town re-structure will assure Bay View's popularity will continue to grow. The new Boardwalk was a major venture towards this renovation, and has proven to be worth its cost, as tourists love the 2-mile wooden deck full of food and fun. Bayview Resort offers condos of every size and price range, from 1 bedroom city views to 3 bedroom oceanfront "lock-outs". Choose from 1, 2, or 3 bedrooms, with views of the street, down the beach from the sides, and directly overlooking the ocean. Prices range from under $100K to $200K. Owners will enjoy the finest of amenities: An indoor pool, kiddie pool, jacuzzi, lazy river, spacious floorplans, and fine details such as granite counter tops, crown molding, and designer furnishings. 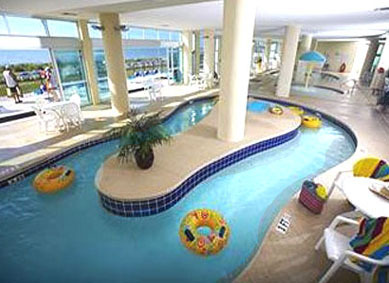 The lobby offers on-site rentals or buyers can go with other local companies such as Myrtle Beach Vacations. Extra conveniences include elevators, a fitness center, and easy parking. If you love a boardwalk and being right in the heart of Myrtle Beach, be sure and look at the available units in this fine resort. Its shiny new image is sure to please everyone. Listing courtesy of Ocean Front Guru Real Estate , George Miles.